As cat lovers, we were thrilled to see the AP news last Thursday that–after a contentious five year legal battle with the U.S. Department of Agriculture–the Ernest Hemingway Home in Key West will be allowed to remain the cathouse of choice for the 50 or so felines that have roamed the grounds there for decades. At the heart of the Key West legal battle was the government’s argument that the property needed an animal exhibition license and that the cats should be caged. 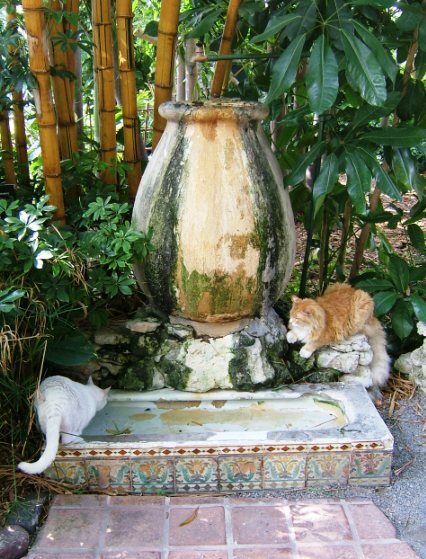 The legal dispute began after neighbors’ complaints about the roaming cats in 2003 sparked the Florida Keys Society for the Prevention of Cruelty to Animals to raise concerns about the cats’ welfare. That’s good for the cats, but 50, really?